Halloween is almost here and now it's also the perfect time to complete your continue education requirements. 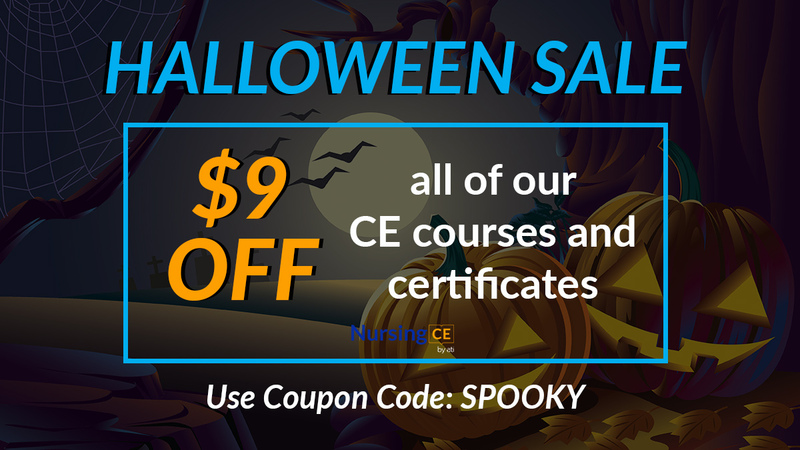 Enter coupon code SPOOKY at checkout to get $9 off your CNE courses. Normally, you can earn over 70 CNE hours with a one-time payment of $39, but with this sale you get all of those hours for less. Click here to get $9 OFF all your CNE courses. This offer ends on Wednesday, October 31, at 11:59 pm PT. This sale may not be combined with any other offers or promotions. Not valid towards gift card offers or on past purchases.